The Statue of Freedom by Thomas Crawford is the crowning feature of the Dome of the United States Capitol. The statue is a classical female figure with long, flowing hair wearing a helmet with a crest composed of an eagle�s head and feathers. The helmet is encircled by nine stars. She wears a classical dress secured with a brooch inscribed �U.S.� Over it is draped a heavy, flowing, toga-like robe fringed with fur and decorative balls. This marble ornament is a replica of the bronze statue that stands 19 feet 6 inches tall. Her crest rises 288 feet above the east front plaza. 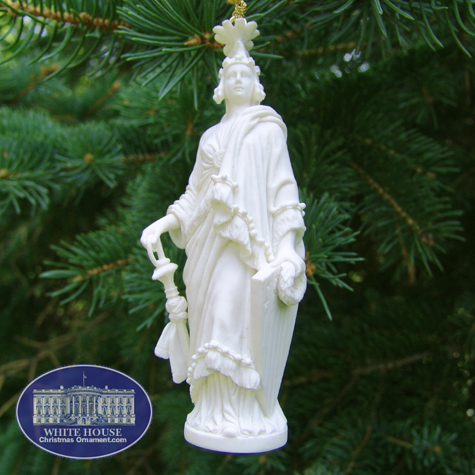 The Statue of Freedom Ornament looks elegant whether you use it as a Christmas Decoration, add it to a Christmas Collection, display it or as a unique Christmas. 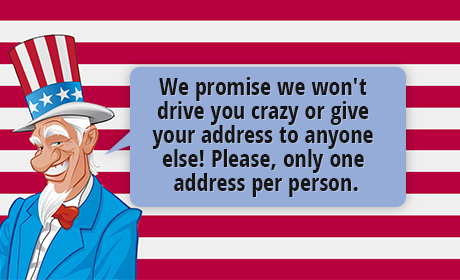 Own a moment of US Capitol history. We also offer wholesale Christmas ornaments for orders of 20 or more.